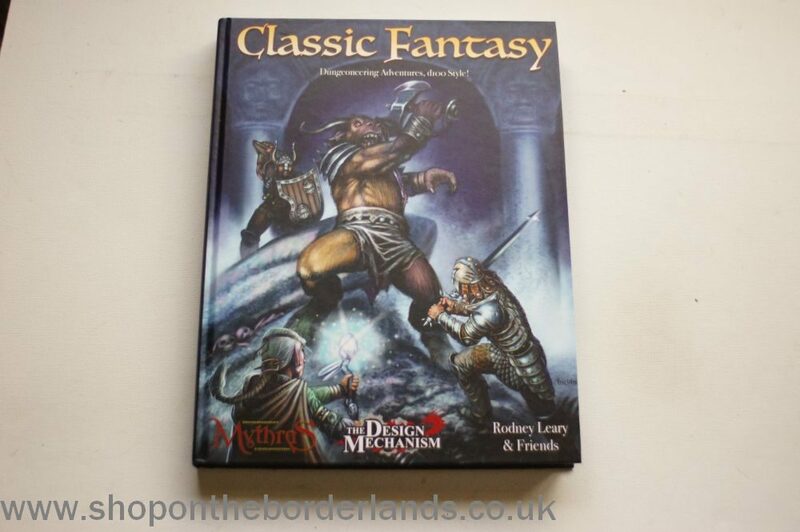 Packed with information and new rules additions, Classic Fantasy features a different approach to character creation based on classes such as the bard, cavalier, fighter, magic user, paladin and thief. Choose your race – human or demi-human – and then customize according to class, race and personal preference. If you’re a magic user or cleric, the new magic rules for Arcane and Divine spells take the old staples such as Magic Missile, Charm, Fireball and more, and tailor them for the nuances of the Mythras system. For the more combat-oriented, the Classic Fantasy rules provide detailed miniatures-based combat adaptations for the traditional battle-board, complete with guidance on facings, positioning, and handling detailed movement.